Multi-sensor megapixel cameras will soon replace PTZ cameras. Video surveillance technology is rapidly changing all around us. 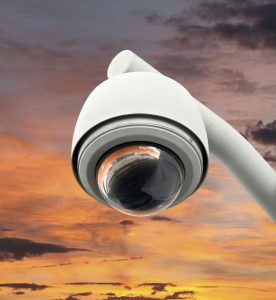 As higher quality cameras become more cost effective and more useful, older types of video surveillance may fade out of the limelight altogether. As of now, there are many PTZ or, pan-tilt-zoom, cameras still providing security solutions. However, the multi-sensor camera is poised to take control of the market. Let’s look at why that is. The greatest strength of the PTZ may also be its greatest weakness. A camera that can zoom in on one particular area and gather detailed information is exceptionally useful, but it can also be a big problem if the focus is placed on the wrong area. Many PTZ cameras either manually or automatically controlled can miss a lot of important information if they aren’t looking at the right thing at the right time. Though they can peer around corners and track information down long hallways, they can only capture one series of images at a time. Capturing more locations at once would require an installation of more cameras which would raise the security budget. Multi-sensor megapixel cameras have a lot to offer. One of the things that make PTZ cameras breakdown is their internal, mechanical parts. Multi-sensor cameras do not suffer from this issue as they can capture more area in higher detail, which makes their need for movement null and void. Without the need for mechanical parts required to pan, tilt, and zoom, Multi-sensor cameras are much less likely to break down. Not only that, but their ability to capture a wider area in great detail makes them perfect for parking lots or other wide areas where multiple PTZ cameras would be necessary. The efficiency of multi-sensor cameras also make them a excellent choice. They are easily integrated into VMS solutions so that operators can utilize simpler views with a wealth of information. This entry was posted on Thursday, October 20th, 2016 at 6:01 pm. Both comments and pings are currently closed.